US President Barack Obama will attend a baseball game during his historic visit to Cuba later this month, a symbolic show of friendship between the two nations, as confirmed by Ben Rhodes, a national security adviser for strategic communication for U.S. president. What seemed improbable, will happen very soon. The president of the United States is going to Cuba. This will be the first official visit by a U.S. president after the triumph of the Cuban Revolution in 1959. And as a symbol of normalizing diplomatic relations between the two countries, the Tampa Bay Rays, an American professional team, which competes in Major League Baseball, is going to play in Cuba on March 22 for the first time since the Baltimore Orioles did it in 1999, and President Barack Obama is expected to be present at the game. This is going to be the first time in the last 88 years that a U.S. president lands on Cuban territory, as the last president to do so was Calvin Coolidge who attended the Sixth Pan American Conference on January 16, 1928. Obama’s visit will also be enhanced with the presence of the Commissioner of Major League Baseball, Rob Manfred, who will also attend the duel between the Rays and the Cuban team on March 22, at the Latin America Stadium in Havana. As a result, this event will also encourage interest in a type of tourism that actually takes its first steps in Cuba: sport tourism. 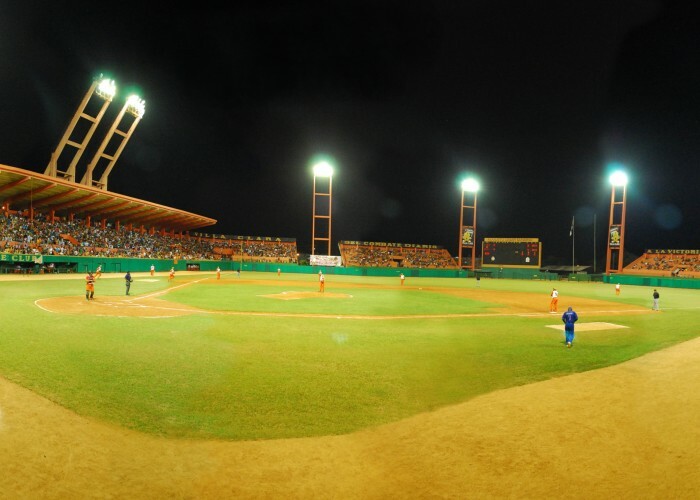 Beyond the small group of Canadian tourists who attend baseball games of the Cuban National Series, it will be the first time that big crowds of sports enthusiasts travel to the island to attend a sporting event since the Pan American Games held in Havana in 1991. A journalist of Tampa Bay Times, Marc Topkin revealed that there is a possibility that Obama will be the one to launch the first ball during the ceremony prior to the match. “Going to Cuba for this exhibition game will give the Rays an extraordinary opportunity. They will be part of a historic moment not only in sports but in world politics and international relations given tentative plans of the President Obama to attend and possibly throw out the first ball” Topkin wrote. Thus, Havana expects the visit of thousands of Tampa Bay Rays followers, the second most popular team in Florida. If you wish to travel to Havana to witness the visit of the President Obama and historic baseball game, this is the best moment (book here). Meanwhile, a journalist of International Cubavisión, Yodenis Masó confirmed to Soulidays that the press management of the National Institute of Sports and Recreation (INDER) requested a list of journalists covering the event for accreditation in order to ensure a maximum security at the stadium during Obama’s visit. A report from Cubadebate portal assures that the Latin America Stadium is being renovated for the meeting, and among the areas that are being refurbished are the roof, stands, clubhouse, the radio and television booths, field drainage system, lighting and protective fence padding, in addition to the exterior building painting. According to Marc Topkin from the Tampa Bay Times, MLB “is doing everything possible to make the trip worthwhile for the Rays and is going to pay $ 10,000 as a stipend to each player who participates in the event“. In 2014, Obama met with Raul Castro, President of Cuba, to announce the restoration of diplomatic relations, which had been broken for over 50 years. On 20th of July 2015 the reopening of embassies in Washington and Havana took place, which evidenced the thaw and progress made in the relations between the two countries, which have been improved and reinforced with commercial and diplomatic agreements.